Bali is an island full of mesmerizing, natural beauty ranging from beautiful rice fields in the villages to wonderful mountains. The “island of Gods” is a paradise for people of all interests. Surfers, artists, and even hikers will effortlessly call this island home. Perhaps, Bali is most popular for its incredibly stunning beaches surrounding it like Kuta Beach, Sanur Beach, or Nusa Dua Beach. But, it is hard to ignore the beauty of the mountains in Bali. In fact, tons of foreigners come yearly to hike in one or two famous mountains or hiking trails there. Some of the recommended hiking trails in Bali are Mount Batur, Mount Agung, West Bali National Park, Danau Bratan, Tirtagangga, Candidasa and Munduk. Of many favorite places to hike, there must be one that becomes the “star”. And, it is Mount Batur. The mountain is part of Mount Agung and still active. However, it should not be a reason of not hiking the mountain because the government classifies the mountain as a safe-secure for the locals and hikers. 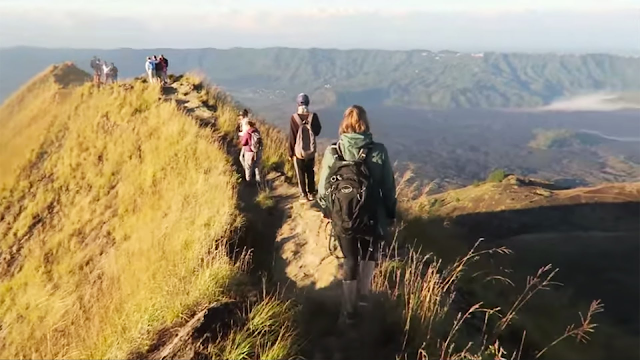 Up until now, Mount Batur is a great demand in the world of Bali trekking. The mountain is located 5633 feet above the sea level. 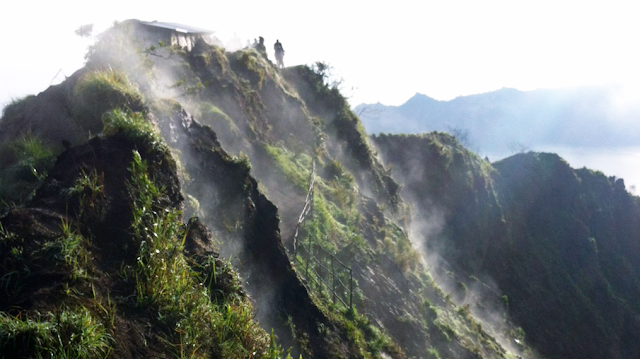 The slope is the lake known as the Lake Batur, which is the largest lake in the island. 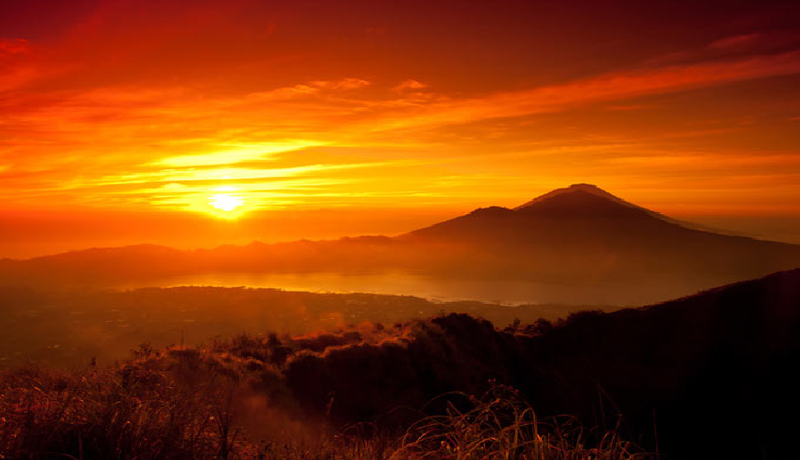 The view of the lake can be seen from the half way to the top of Mount Batur. Mount Batur should be a great reason for you staying a little longer in this exotic island. It is not only popular but also recognized as Geopark. Geopark is an area regarded by the UNESCO Global Geopark Network for its stunning geological heritage. This area is good for education, a significant value and a rare beauty. As a newbie in Bali trekking, you may be surprised at the guides that wear flip flops all the way up and do not have supplies with them. But, trekking is trekking. You need to do it properly to guarantee safety and comfort. Some stuff is crucial to bring for those reasons; they include comfortable walking shoes, a jumper, a flash light, food and drink, and sufficient memory in your camera. And, in some trekking areas, you may need to bring a copy of your passport as a requirement to enter the area. 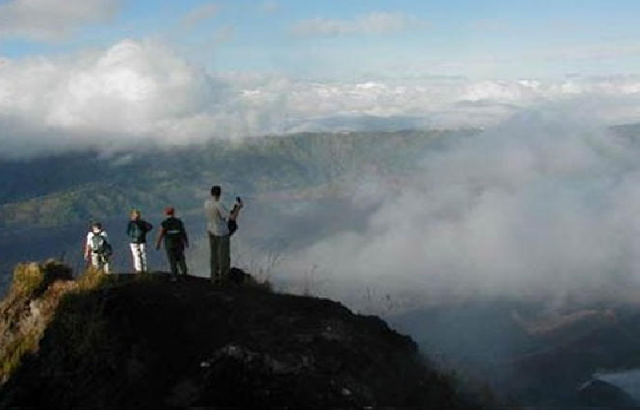 that dedicates itself to Bali Trekking Tour and associated services.